Welcome to Vegas! Come 2020 the Oakland Raiders will call Las Vegas their home as the NFL approved the relocation of the franchise in March 2017. For years the Raiders sought to have a new football only stadium built in Oakland as they shared the Oakland Coliseum with the Oakland A’s (MLB). Opening in 1966 the Oakland Coliseum is the second oldest stadium in the NFL and lacks many modern amenities that new stadiums feature. The Raiders spent numerous years trying to work with local officials in Oakland to develop a stadium plan to keep the team in the city. They also explored other options including relocating to cities such as San Antonio, Los Angeles and Las Vegas. In 2016 plans emerged from developers in Las Vegas to build a stadium to attract a NFL franchise. In Spring 2016 Raiders owner Mark Davis visited the city and indicated he was interested in moving the team here. On March 31, 2017 the NFL approved the relocation of the Raiders to Las Vegas. 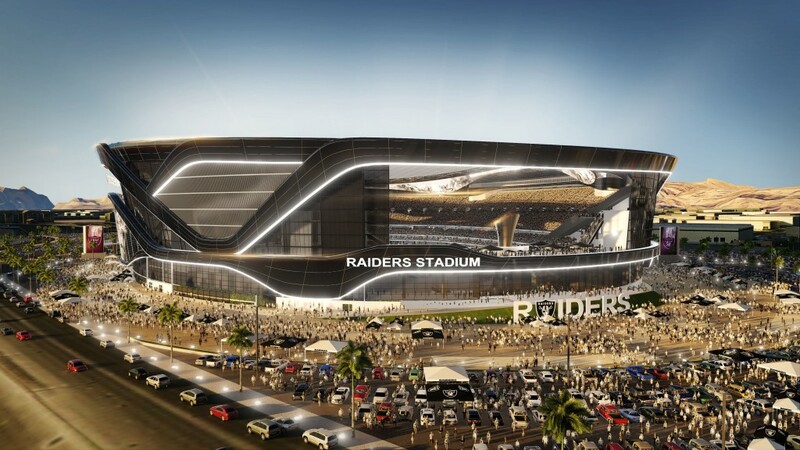 A new $1.9 billion domed stadium will be built to house the Raiders and the UNLV Rebels college football team. The stadium will be funded by a combination of private and public funds. 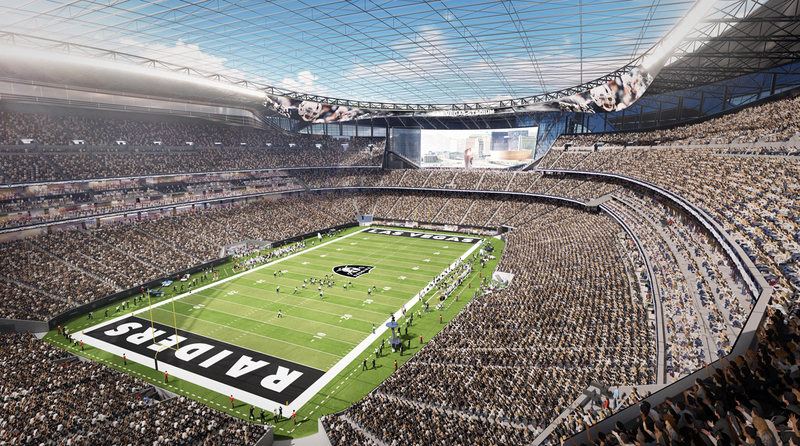 Hotel taxes will contribute $750 million to the project with the remainder coming from the Raiders and the NFL. Scheduled to open in 2020, the stadium will likely be built on a site near the Las Vegas Strip. It will feature a sleek silver and black exterior and feature a clear dome roof. Retractable windows will be located at one end of the stadium allowing fans inside a view of the Vegas skyline. A large torch with a flame, as a honor to former Raiders owner Al Davis, will be located at one endzone. The stadium will have a seating capacity of approximately 65,000 that includes 70 premium seats and 6,000 club seats. The Raiders will likely play two to three seasons at the Oakland Coliseum before moving to Las Vegas as their is no current viable NFL stadium.